Grateful for an Older Sibling? Like everyone, I’ve spent the week trying to wrap my mind around another senseless tragedy. My heart a swirl of emotions, I went from incredulity to anger to fear to sadness for the victims, especially for the Richards family—innocents who’ll bear the physical and emotional scars of that single moment in time for the rest of their lives. But as someone blessed to have an older sibling who has looked out for me from the moment I slipped into the world, I couldn’t help being sad all over again when I read the description of the capture of Dzhokhar Tsarnaev, bloodied and broken, hiding in a boat that would never carry him to calmer seas. Yes, he’s an adult—barely. Yes, he is the one who made the reckless decision to join his older brother’s descent into madness and hatred. But as someone who spent my childhood following my sister everywhere she would allow me to go and listening to her as she talked about what it was like to be the first of my grandparents’ 57 grandchildren to go to college, I can’t help feeling sorry for someone whose life went so terribly wrong because he followed in his brother’s footsteps. And what of Tamerlan Tsarnaev? I can’t find it in me to understand him enough to feel sad for him. It makes me angry that he followed the logic of a religious extremism that says alcohol is forbidden but that mass murder is encouraged. How can any human being with a brain possibly accept such tenets of faith? It makes me furious that he lured his younger sibling, who worshipped him, into a fanaticism that urges its adherents to jihad. This morning I read an article in the Boston Globe that gave a glimpse into the lives of these two young men. And as always in these tragedies, we’re left with more questions than answers. How do we find and help such angry young people before they are helped by terrorists who feed on their rage and vulnerability? How do we honor all faiths but expose extremists who commit atrocities in the name of God? How do we live in religious freedom but restrict the rights of fanatics who believe their faith justifies taking away the lives and freedoms of others? I don’t know. But I do know that today I am especially grateful for an older sibling who has always, always taken care of me and wrapped me in love. And while I stopped following in her footsteps long ago—but well after I was 19—I’m thankful that if I did follow her, she would never have steered me wrong. 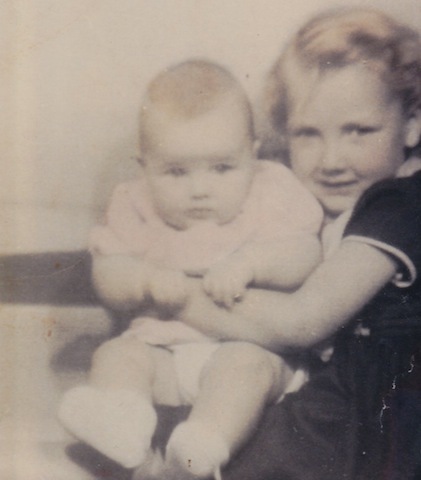 Here’s to all the big sisters and big brothers in the world who are like my sister Marcella. Tell me your stories of gratitude to the siblings who came before you. Previous PostTrue Friends?Next PostLive in a Stressful State?